A+ grade. 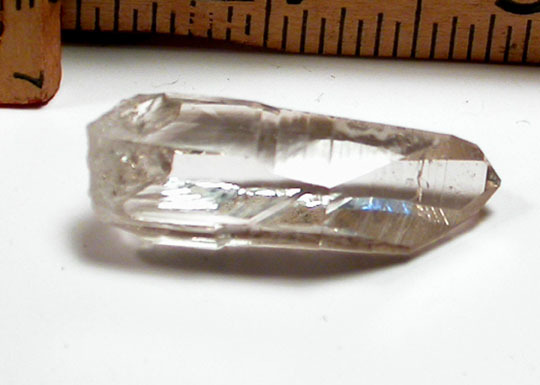 Extra rare for THIRTEEN prism and termination facets, AND because natural smoky quartz is rarely found in Arkansas. 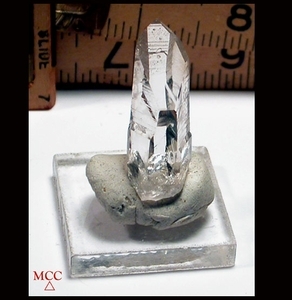 Garland County, where this crystal formed, was known for this radiant palest taupe hue. We have very few and are delighted to bring this one to you. 7/16x 1/2x 1-5/16" tall and easy to cap, set, or wirewrap...or to display for its' rainbow and tiny glitter crystals at its' back. Said to be protective and grounding, please be a good caretaker and keep from display in direct sun or fluorescent light to preserve the natural color.